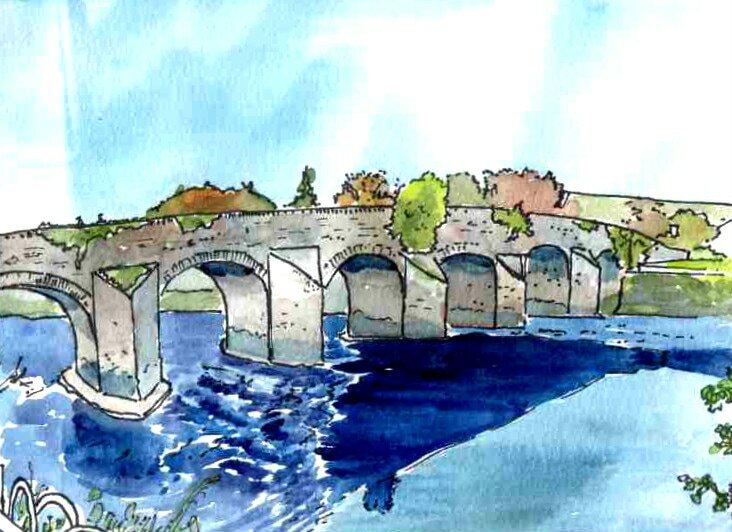 The Strabane area is particularly rich in bridges which may have been constructed in the Seventeenth Century. There are two at Newtonstewart, one at Ardstraw and a very fine example at Clady. This is marked by the very large pedestrian refuges to either side and is located at the highest fordable point of the Foyle river system. It was the location of a skirmish during the Siege of Derry in 1689. 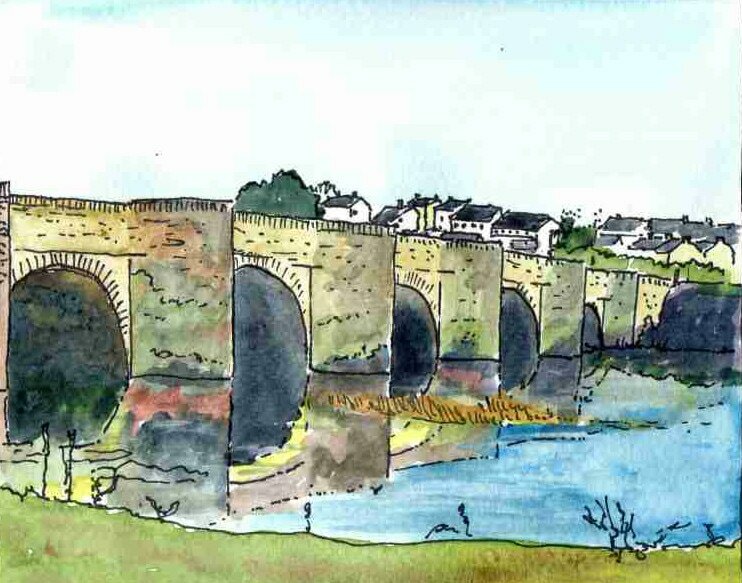 Some sources indicate that the last arch on the newly constructed bridge was demolished on Tyrone side to slow down King James’ forces. The ford was also the location of a battle between the O'Neill’s (Cenel Owen) and the O'Donnell’s (Cenel Conaill) in 784. 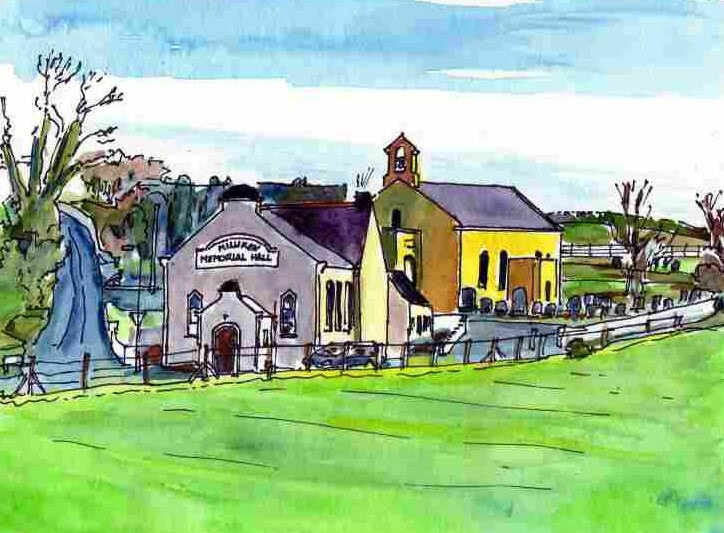 St Patrick's Church at Leckpatrick was completed in 1815 but it has the simple form of the rural Presbyterian and Catholic Churches of the previous century and highlights common influences across the community. Such buildings enclosed a simple meeting space with an altar or pulpit at the centre of long side wall. This building is a common development of the type with a T shaped plan focused on the central space. A triple decker pulpit reputedly graces its interior. It replaced the medieval church nearby (another church founded by Patrick) and reflects a society settling into an established order. During this period, the dominant economy of the area was agricultural with two fairs per week being held in Strabane and merchants exporting via the port of Derry. In the early Eighteenth Century this was supplemented by the Linen Industry. Taking advantage of climate, ready power supply for watermills and demand, the industry thrived. By 1824 the area’s linen business, focused on Strabane, was ranked as the third most important in all Ireland. Most of the rivers in the area have remnants of mills. 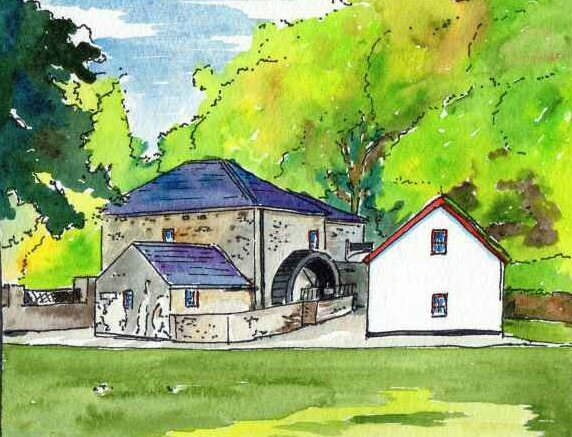 This restored mill of 1830 near Donemanagh gives a good impression of the type.